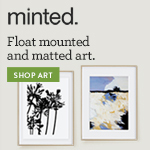 With every Minted contest, there are these additional special prizes they give out to some of their favorite designs. I've never received one of these... that is until recently, when I received TWO just within the Kid's Party Decor challenge. It was so much fun to be apart of this contest. I honestly never imagined I could have a career where I get to design something so much fun as party decor, and then to win special prizes for my designs, it's truly unbelievable! 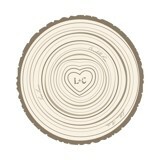 Soon I'll have 5 party decor suites available on Minted.com. Below you'll see the two special prize winners, and you can check out the other amazing special prize winners here.